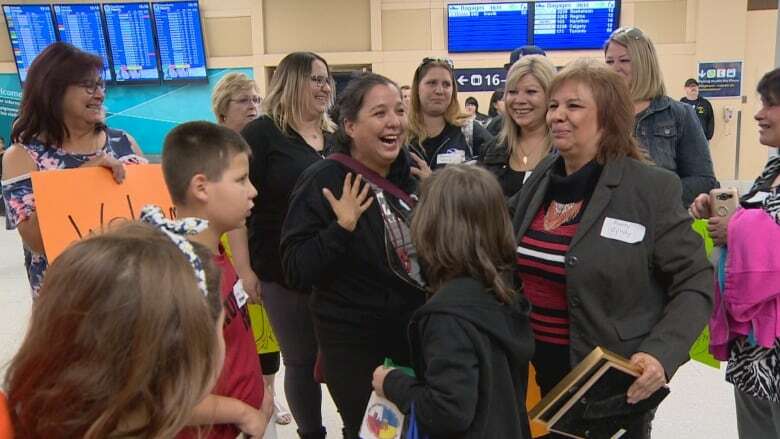 When Alexa Rudi rode down an escalator to the arrivals level at Edmonton International Airport Friday night, she found a cheering crowd of more than 20 of her family members. They were waving signs and wearing name tags. Some of them had known her as a child, but many had never met her before. Among the crowd was her mother, Theresa Atkinson, whom she had not seen face-to-face for more than 30 years. The pair locked eyes, then held each other and cried. Each woman had spent years searching for the other. "You spend your whole life walking around with a hole in your heart that nothing can fill," Alexa said through tears. "Finally I have answers to questions I didn't know existed." Alexa Rudi was born Viola Pepper Atkinson in Edmonton on Aug. 4, 1977. Her first name came from a family member and her middle name came from the nickname of an undercover police officer played by Angie Dickinson on the 1970s TV show Police Woman. Family members remember her as a bubbly, inquisitive child who was talkative like her mother and had long dark brown hair. She spent only a few years with Theresa before being placed for adoption. "Theresa ran into some minor problems and then child welfare came and investigated," recalled Cyndy Atkinson, Theresa's sister. She said Theresa, who is mentally disabled, signed papers allowing the adoption but did not fully understand what was happening at the time. "They didn't have nobody to advocate for her, so she was basically on her own, signing what she thought was going to be a promise that she'll get her daughter back," Atkinson said. The loss of her daughter devastated Theresa, but for years she collected stuffed animals and dolls in case she returned. She begged family members to help search for her and the family obliged, contacting adoption agencies and scanning adoption records for her name. Meanwhile, Alexa was also searching for her birth mother, calling every Atkinson she could find in the phone book. After her adoption, she had spent a year in Fort McMurray, Alta., before moving to Ontario, where she grew up in Peterborough. She moved around over the years, spending time in Tucson, Ariz., before returning to the Toronto area. 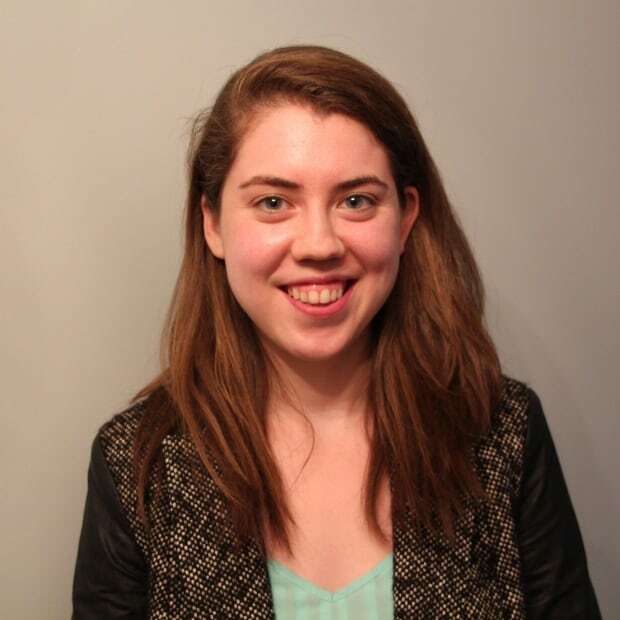 She's now a student at George Brown College and has two children: Eddie, 9, and Vada, 6. A few days before her 41st birthday in August, Alexa wrote about searching for her birth mother on Facebook and asked friends to share the post. The post was shared on a global Indigenous group with more than 160,000 members and before a day had passed, it caught the attention of someone who knew her family. Before long, Alexa and Theresa were video-calling and chatting on Facebook daily. They started planning Alexa's trip to Edmonton and asked friends and family to donate money online for flights. Alexa, who is Métis-Cree, said finding Theresa has helped her better understand her culture and identity. "I felt lost and so broken my whole life and I had to talk to her and my family," she said. "Things started making sense." Her story is far from unique. 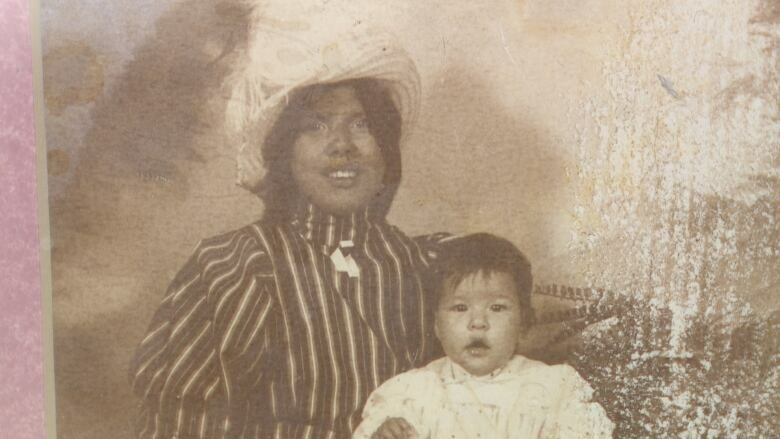 The separation of Indigenous children and their parents was common for decades in Canada. Even today, Indigenous children are over-represented in foster care. Indigenous women are also more likely to be victims of homicide than non-Indigenous women — a brutal statistic Alexa's family has lived through. Theresa's sister, Peacha Courtepatte, was the mother of Nina Courtepatte, who was raped and murdered in Edmonton in 2005. Nina was just 13 years old at the time. 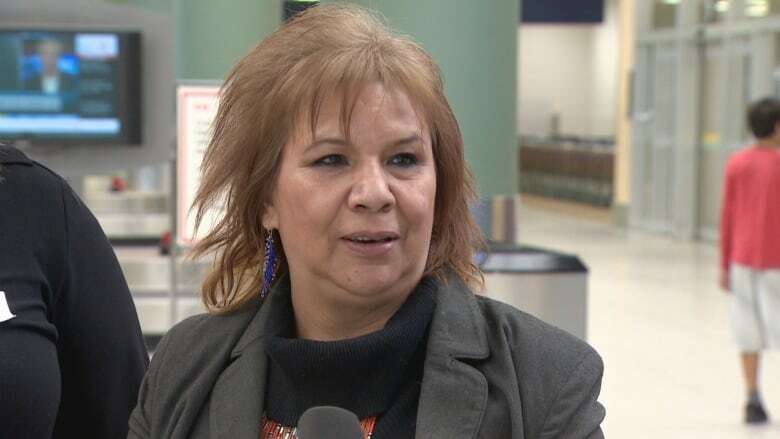 Nina's mother, who became an advocate for missing and murdered Indigenous women, died in 2015. For Cyndy Atkinson, Alexa's return is a step forward for the family, "taking away a little bit of heartache and bringing in happiness." Before Friday, Alexa hadn't set foot in Edmonton since she was a little girl. At the top of her to-do list — after a family gathering Friday night — was a trip to West Edmonton Mall. Clutching old framed photographs, Theresa and Alexa talked about their future together. "Come back home with me," Theresa said. "I want to do it all over." "That's the plan," Alexa replied. Once the school year is over, she intends to move back to Edmonton so she can help take care of Theresa and Theresa can help look after her grandchildren.